General hours: 11-8 p.m. Specialty unit hours vary. 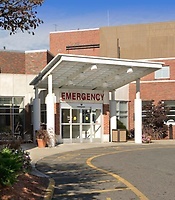 North Shore Medical Center (NSMC) offers North Shore residents exceptional medical and surgical care. For the fifth consecutive year, North Shore Medical Center has been ranked as one of the best hospitals in Greater Boston and Massachusetts by U.S. News & World Report. Our comprehensive physicians network includes primary care doctors and specialists who see patients in multiple locations. 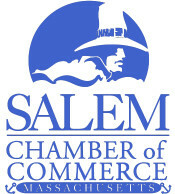 We have hospitals in Salem and Lynn and an urgent care center and comprehensive cancer center in Danvers. We are the only North Shore area hospital to offer pediatric emergency services 24 hours a day, with a staff of dedicated pediatricians certified in pediatric procedures in advanced life support. Through our long-standing collaboration with Massachusetts General Hospital and Brigham and Women's Hospital, NSMC patients have access to some of the world's most talented specialists. The NSMC Heart Center provides fully integrated cardiac evaluation and treatment to North Shore patients. Our services include angioplasty, electrophysiology, cardiac rehabilitation, catheterization and a Living Well with Heart Failure Program. Cardiac surgery is now performed at Mass General, while all other aspects of a patient’s heart care are provided here on the North Shore. MassGeneral for Children at North Shore Medical Center offers complete care for newborns through young adults. Our Surgery department has been recognized by the American College of Surgeons as one of only 25 hospitals in the United States to achieve exemplary outcomes for surgical patient care.